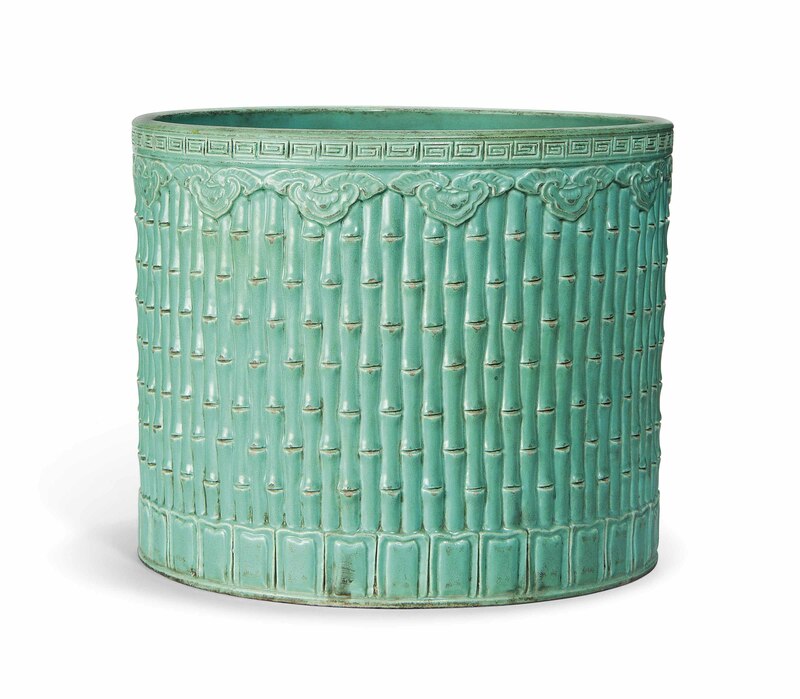 The cylindrical sides are modelled as branches of bamboo, below a band of moulded ruyi heads and incised classical scrolls at the rim. It is covered overall in a turquoise glaze. The base is moulded with an apocryphal Qianlong six-character seal mark.